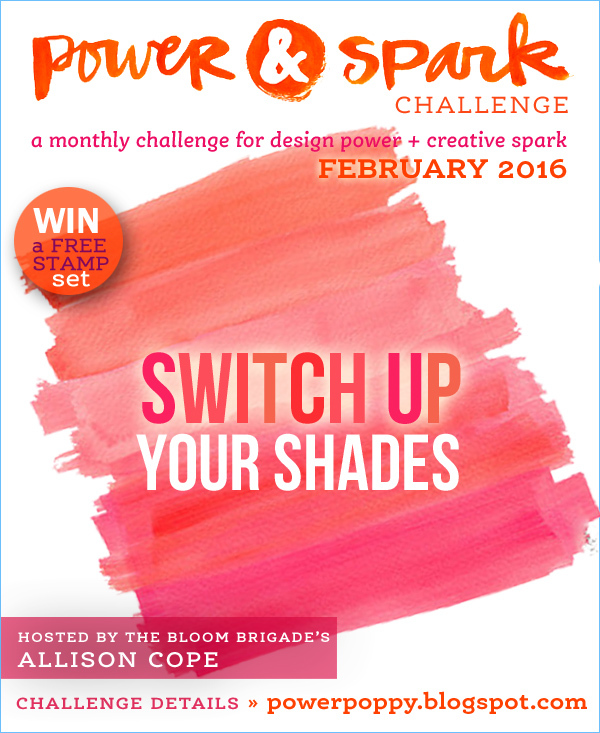 This month I want you pull out a coloring medium that you don't use that often. So if you tend to use Copic Markers for instance, pull out your water color paints or your colored pencils instead! Let's see you use up some of those not-so-used mediums this month. That’s a great challenge for me as I tend to grab my Copics most. Today I pulled out my prismacolor pencils and this BRAND NEW beauty, Magnolia Sunshine! Marcy has a brand new digi today that honours her mom’s favourite flowers - Magnolias and Daffodils. As some of you may know, Marcy’s mom is going through some health challenges so we want to give her all the love, encouragement, prayers and sunshine we can, so I made this especially sunshiney. Did you see the fun tutorial over on Splitcoaststampers the other day on how to make a Pleated Skirt Fold? I thought it was an ingenious way of folding paper in a simple way that creates a neat focal point. So, I found some sunshiney paper in my stash (SU) and pleated the lower section. Here is a closer look at the colouring. Finishing details include sparkly ribbon, enamel dots and baker’s twine. Here’s also a closer look a the pleated fold too. Its nice because you can show off both sides of a double sided paper. And we’re also jumping in with the 30 Day Coloring Challenge at the Daily Marker with this one too! It’s a good encouragement to color a few minutes every day! So, now we’d like to invite YOU to jump in with us at Power Poppy and pull out some of your unused colouring mediums to colour with us this month. 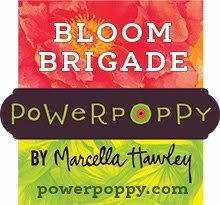 Enter at the Power Poppy Blog and you could win a Power Poppy set of your choice! Gorgeous card. I love the yellow, so bright and sunshiny. Thanks for sharing your wonderful creativity. Oh, Christine, this is filled with sunshine and love, and I love the pleated skirt technique. Beautifully done, and I love your layout! Yes, continuing to pray for Marcy's precious mom! Hugs! WOW! The yellow and oranges are beautiful! I'm just loving all this cheerful sunshiny yellow! Beautiful card, Christine. Now I can't wait to color this up. Really love the two sentiments with this set. Love the bright colors, I am fairly new at most mediums so trying something different is very easy here in Texas at this crafter's corner. 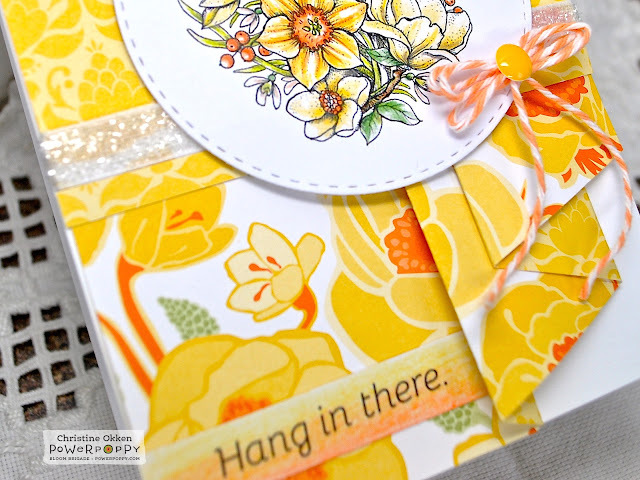 So pretty, love the springy colors, the image goes perfectly with your paper and I like what you did with that technique, I have that on my list to try! Your card is so pretty! 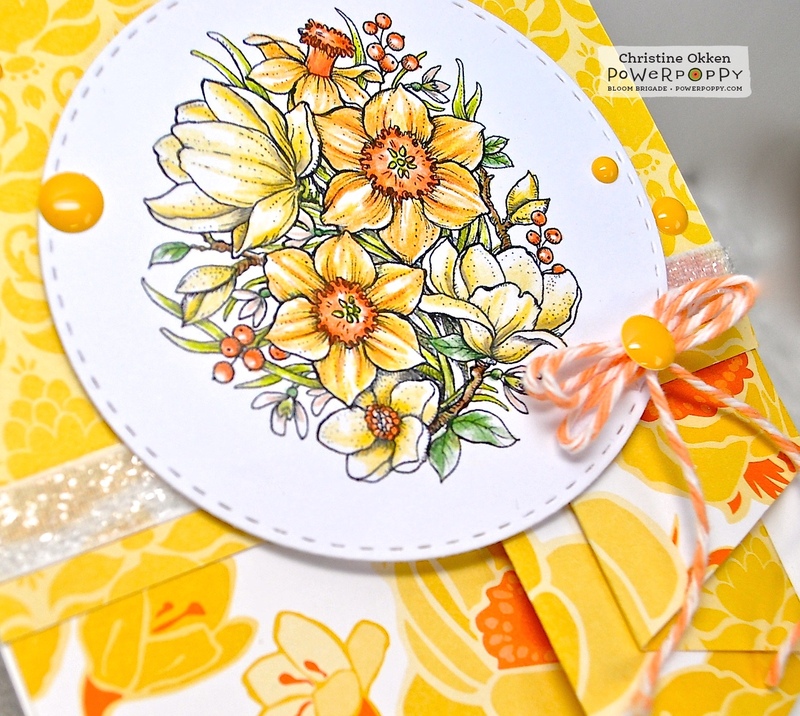 Love the bright yellows with the patterned paper! So sunny and bright Christine. I love it! 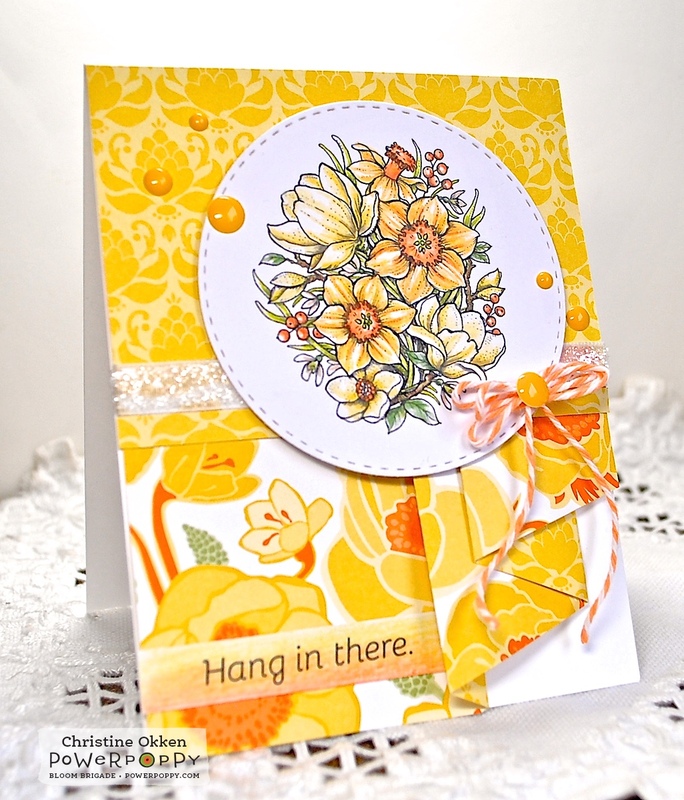 Christine Beautiful card, love the colours you have used. Christine, this is such a beautiful and cheerful card, and the pleated skirt is so flirty and fun...I am going to give this a try! Love this image colored in yellows! Thanks for sharing! Christine this is so wonderful. It is quite simply like a breath of Spring jumping up at you. Wonderful, bright and lively colours. I just love it. Cheers.